Four siblings decided to take a holiday together without their spouses or children to reconnect and see if they could revive and reconnect with the sense of the family of their parents and those times . This exercise led them to rediscover many interesting things about themselves and how they remember, feel about their childhood and adolescent years. It also made them reorient and relook at some aspects of their current identity and families. So when Raghu, my friend from High School years ( Army Public School- Dhaula Kuan- Delhi -1985 batch) told me he will be coming to Toronto area I made it a point to meet him , and meet him alone , and reconnect with those times and days. We spent some magical hours recalling those high school years, our teachers, class mates , classes, and the atmosphere of the school. We spoke intimately and had a good laugh at some of our ways then. My apprehension that sometimes friends who were close in a different period of life, when they meet after many years are not able to connect or find common themes to talk about was laid to rest as we spoke freely about ‘ Every secret thing’ … those I cannot put on a public blog. Then I spent some time reviewing my jottings of yesteryears ( decades) . It was in the early 1980 s – around the year of the 9 th Asiad that I started keeping diaries, logs of how much we ran, who we talked to,which movie we saw. We remembered our projects. I had done a study of the plants of the Delhi ridge area. He remembered how his soldering did not work in the first try. Then there was the day when one of us kept a lizard( toy) on the teacher ‘ s seat. The Chemistry teacher said he will report it to higher ups if the person who did the prank would not come up. ( that is how I remember the incident) . Our classmate owned up. He was a person of character. He later joined the Defence forces( NDA) . Then he passed away. These and many other sweet sour memories came alive as we talked for hours in downtown Toronto. There had been a freezing rain alert , but I drove from Stoney Creek Hamilton to meet my good friend Raghu. We used to go to see movies at Chanakya cinema from APS. When many students missed class to see the movie To Sir With love, the school decided to make it official. The many nuances of literature and life taught by our English teachers kindled a love of trying to see between the lines. We had nicknamed our English teacher Mrs Majumdar – Mata. Raghu went into Engineering , I went into medicine, but the love of the written word remains. It should probably read – To Madam With Love.. the English teacher who kindled this life long habit which has enriched life on so many ways. We talked about our parents, the life in India in the 70s, 80s and then about our children who now grow in North American society. Being from services background, when we came to civil life, we did find that things work in a different way . Over the decades, we now , sitting in a cold freezing rain day in Toronto, went the memories of events which shaped our identities and those of the previous and next generations. So I nod again, I try to recall an earlier time, before Grandpa arrived, a time when the world was so safe and small and manageable- my parents were in charge of it, and nothing could go wrong. He’ll take from me a coloured frock, no more! As I look back at some experiences of 2018, I review three accountability calibration partners with whom I have kept regular correspondence over the years. The year end journal,2018, made me look back at some walks-journeys taken with the grandparents of my sons-Indian citizens on whose passport the birth place is written as Karachi. This year, they visited Mississauga, and saw their grandchildren grown up. When they had left Mumbai, in 2010 for Malta, they had been in secondary school, now both are attending University. When they parted from Mumbai for Malta, their Nani-ji had told me-in a sad refrain- “Give them so much love, that they never miss me.” It is an impossible task to accomplish fully, but a credo worth trying to live by, even if one falls short, it will be good guiding star. In the Canadian phase, I met and talked closely with some of our Pakistani brothers-sisters and came to know some whose families are from Purani Dilli..Old Delhi. To that I pressed her- once from Pyaari Dilli..always from Pyaari Dilli, and told her about Karims, Golcha, Nizamuddin and then many Galis of Dilli. In September 2018- while on a retreat to Ganonoque –Thousand Islands area- I had tried to answer the question of –What is the use of writing it all down. In that blog had written about letters, logbooks, journals, day timers –the review and reflection on them. The earlier perspectives have been recorded and the links can be found below, of many discussions, journeys, and perspectives gained from not only visiting places, but also staying in different countries across four continents. Every life has a philosophy which defines it, and refining and re-defining these has been a quest which makes one look back at the year gone by. In 2015-Reading journal…From that year, I have separated the Reading journal from more personal entries related to family and friends. There still is an overlap, and the work to streamline these is an ongoing process. In gathering perspectives, I tried to record some conversations with persons who were born and brought up in Canada, rather than those who were born in other countries and adopted this country, and were accommodated in the system as landed immigrants. Through my work, I meet such persons who I would not usually meet in my social setting. I met Canadians who live in Farm areas in places like Milgrove or even in Trailer homes in national parks. They find cities like Burlington very congested, and cannot even think of living in a place like Mississauga or Toronto. While many of the things we discussed in those letters-Calibration appointments are private, one of the accountability partners has a way of writing poems –which tell many things between the lines. He wrote to me about the histories of Delhi through the ages, the traditions of Buddhism originating and developing-evolving in modern day Bihar-North Indian plains, Mathematics in Medieval India and the concept of Paradox a- comparison between the Greek and Indian concepts. In these letters, in which he told me that he has seen me from the days of my primary school, when he first taught me to keep notes, we used to read the children’s books- Enid Blyton, which I would collect from the Libraries in Main Street-Pune Cantonment. Later as I grew, I was introduced to biographies –which my Nana-ji gifted me- on my 15th birthday, -Of Nehru and his letters to his daughter from Prison, and the stories of the hills written by Ruskin Bond. My Mausa-ji never directly told me to return. But in his letters, the many milieus and situations in life, which we have worked and journeyed together, he taught me many things, which make me wonder at the many roots, associations, possibilities which one has in one’s own country, and how a foreign society, may give many opportunities, but also takes away many things. Over 25 years ago, I first joined a medical college (KEM-Seth GS-Mumbai) in a line which is about reading and interpreting images, putting them in a clinical context and trying to help the patients. Imaging sciences took me to different places- starting from Mumbai in 1993. In this phase of Canada, I have kept regular monthly calibrations with a mentor who has seen me through the immediate post graduate period, and we discussed many aspects of imaging, teaching, market conditions, the universities and their rules, the registration bodies and their bureaucracies, which impact persons at different phases of their life and career. He wrote to me of the way Imaging sciences were organized in the 1990s, and this reflection made me look back twenty years further, to the times when my father had first done specialization in Cardiac Anesthesia, how the twining of institutions- (Armed Forces Medical College –Pune and Christian Medical College Vellore)-led to the development of departments and a specialty in several institutions. In my own case, he helped me through basic interpretation to organizing a department , how to weave a team together to how to talk with clinicians. Many of these things I applied and developed in my own way while working in Tripoli-Libya (LSMC). Many a time , when I talk about the limitations of the scope of work in Canada for an internationally trained doctor, he tells me about seeing the bigger picture and also the phase of life of the family. Writing accountability and calibration notes to these two mentors of mine, and then reviewing their inputs, and also a third accountability partner who is not directly a mentor, but has known me for long, made me see how the same content can be interpreted in a different way. Richard Beasley was one of Hamilton’s first settlers who came to Canada from New York in 1777. Beasley occupied Burlington Heights (now the site of Dundurn and Harvey Parks) in 1790 & was granted land by the Crown in 1799. As I walked from Barton street towards James street, I came across Beasley Park. Earlier in the day, I had walked from Art Gallery of Hamilton and had overshot Barton street, and walked almost right up to Lake Ontario. 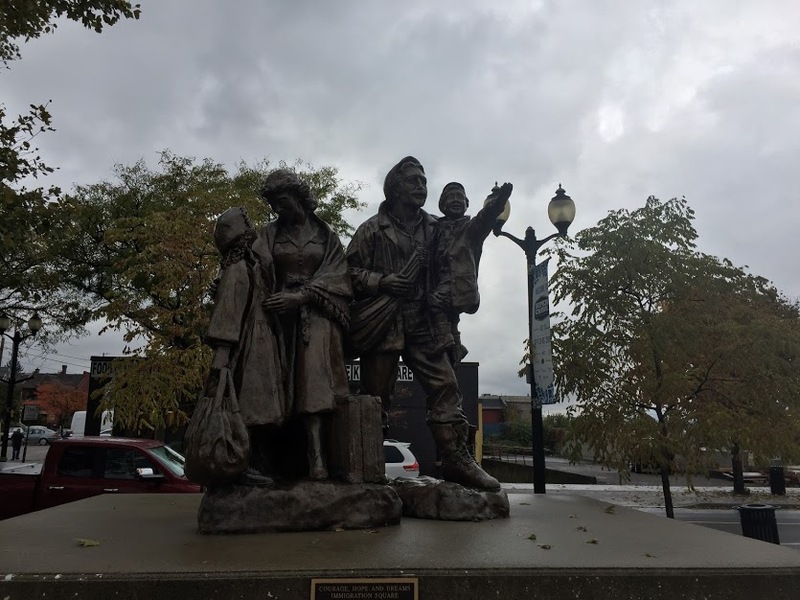 Every journey has its surprises- this overshooting led to Immigration square of Hamilton, and the statue of Leonardo Sciascia, the writer and activist from Sicily –Italy, born in Racalmuto-the sister city of Hamilton. Mangalore of India is also a sister city of Hamilton. These walks reminded me of the many walks I have taken in and around Delhi-Meerut region –alone and sometimes with some friends who will brave it to some of these lonely beautiful places, where sometimes dogs can growl very ferociously. It also reminded me of the Commonwealth War Graves cemeteries in North Africa- where I have walked (alone and with some close friends) in Tobruk, Benghazi, Tripoli and Byzantine –and Roman/Greek time churches and temples in Eastern Libya-like Shahat and Susa and Western Libya-Sabratha and Leptis. Through letters, and calibrations, this accountability partner, who has followed many of my different walks gently reminded me that as the years advance, one has to decide once and for all how many places one can develop in and follow-up with justice. We have explored through letters, the bird-chirpings of Landour of Mussoorie region to the walks in Dundurn region of Hamilton. All those things were gifts from Grandpa, she smiles, Aren’t they gorgeous? I nod. It reminds me of the time long ago when Grandpa came to live with us in Pleasant Villa. And how my world suddenly became a much bigger place, much more complicated and painful. I think of Grandpa sleeping on the settee beside me, holding my hand to comfort me. And later, me holding his when he had bad dreams. I think of the violin music we enjoyed and the words he taught me, the stories he told, to describe and understand the world. END NOTE…Literature has a way of teaching and instructing, and when all the letters, interpretations and contexts are over, one can still go into a great piece of literature and gain a fresh perspective. This November I lost my passport on a visit to India. There were some troubled hours, before I found it again, thanks to the railway police at Hazrat Nizamuddin, Delhi. In all these troubled moments, many people helped me in their own ways. They congratulated me on having found my passport. But my six year old nephew Mayank was the only one who was not happy on me finding the passport. “Why?” everyone stopped to hear his reasoning. Such is life, as seen through the eyes of an innocent 6 year old. “She is weeping” my friend told me. Julia Margaret Cameron in the background. Is there something like musical cultural memory. From the answers that came alive on a cold winter evening, the answer is Yes. He wed Luigia Delle Fabriche, who was born in 1866 and died in Tripoli on Jan. 19, 1931. In Tripoli, Libya, where Pietro emigrated, he formed a construction company, together with his son Pietro and daughter Margherita. He died in Tripoli on Dec. 25, 1933. He and his wife are buried in a private chapel within the Christian Cemetery at Gargarish, Tripoli. This year I had some interesting walks. Three regions where I walked were –Rishikesh-Landour region of Garhwal in spring, in Toronto-Niagara region in Fall and in Istanbul-Konya region in beginning of winter. Special exhibitions on Myth Busters, made us look at the science behind some daily things.Earlier we had seen the Science of Rock and Roll, and Brain. These exhibitions help us reflect on the way science has changed our lives. Amidst the downward tendency and proneness of things, when every voice is raised for a new road or another statute or a subscription of stock; for an improvement in dress, or in dentistry; for a new house or a larger business ; for a political party, or the division of an estate; will you not tolerate one or two solitary voices in the land, speaking for thoughts and principles not marketable or perishable? Our second son, Sahil -was born on 18-Sep 2000, at the turn of the century. PORT CREDIT-MISSISSAUGA-SEP 7-2018-With Nana-Nani-Mama-ji ..many lovely hours spent walking and meditating, discussing, where we have been, where we are, where we are going. His first school of L’avenir-The Future in Gnostic Centre, Delhi. This year he passed out of Gordon Graydon Mississauga and joined Ryerson University-Toronto. On Tuesday, 18 th Sep, we celebrated his 18th birthday, in a unique birthday-celebration with Nana-Nani-ji having come from Malad-Mumbai. Ten years ago- we were staying in Malad-and studying in Pinnacle High school. In celebration –we gathered together and said some prayers, remembering our forefathers. On this unique birthday, I remembered some points taught to me by my father, which would add value to their insights into different systems. My father-Prem Narain Bhatt, an alumnus of All India Institute of Medical Sciences-AIIMS-Delhi-1958 batch and Armed Forced Medical College-Pune-MD Anesthesia-1972 and Christian Medical College-advanced training in Cardiac Anesthesia-1974, was a veteran of the Indian Army Medical Corps, and also participated in different community programs in the hills of Garhwal, from where our family originally is. In the past year, some members of our family transitioned from High school to Professional training. And hearing them and their struggles I remembered my own struggles and how a professional course is so much different from a high school study. Try to study the topic before the lecture, so that you gain more by the lecture, and can even clarify the points which are not clear. Higher professional studies are more difficult than school level studies. Try to make Revision flash cards which you will review briefly for around 15 minutes every day, and for a longer period-around 90 minutes at the end of the week. Study Buddy-Joint revision with a study partner will really help. If one has a peer group-one can mix and match-study and come to know which classes are held where, and then revise the concepts together. This is a refinement of the above three points, but takes it a step further by having self-preparation questions, and also reviewing the long questions and short questions of a particular subject from beforehand, so that one knows what will be tested, and how, and what will be expected of a student in the coming exam at end of term and course. In Canada, in-house training is known as Co-op. Though in India, we do not call it co-op, we have many such experiences, when one has to walk along with a practitioner and he introduces you to the concept of the subject, as it is practiced in the field. This may take the form of taking rounds of a clinical ward and then sitting down and analyzing one of the cases in greater detail- right from the presentation and history to the findings, treatment plan, and follow-up. Or in the case of Medical Radiology, I benefited immensely from seeing the reports of my mentors, then going back to the books and studying the case again, and refreshing the points which were covered in the reports. Birthdays are a time to reflect and look back at one’s experiences as a family, group and try to see where we were, where we are going and how best to integrate the different threads of family life. Gerard Hopkins, in his work The Child Is Father To The Man, reflects on both the relationship of a man to his father and the relationship of a man to God. It provides commentary on the human aging process and also allows Hopkins to think spiritually about the divinity and humanity of Christ. And the times when I would sit in Jasola, and tell her to write joint journal together. Of the times we went walking to Purana Qila- and then saw the Company school paintings of Thomas Daniels, which she also saw in the National gallery of Modern Art. My teacher asked me how I knew about Telly Kittle and Thomas Daniels, and I told of our trips together to National Gallery of Modern art, India Gate, Zoo, Sri Aurobindo ashram and many other sites of Delhi region. Now she is 18 and maybe a bit too old to be told to sit and write about what she saw in Lodhi gardens or write a brief summary of the play we saw together in Sri Ram Centre. Retreats are a change of pace to re-think and re-visit the same things once more. While other persons on the trip made themselves busy with trying to catch up with the one-other-site to see I took some time off to Re-think on some of the points on which I have been working upon in the past year(s), quarter, and project into the coming months. TEN YEARS OF THIS BLOG..evolving from letters, logbooks, diaries, journals. I started keeping this blog around ten years ago, as an extension of my diaries, logbooks, and letters which I have kept since 1975. I first started writing letters to my grandfather-Dr.Ganesh Prasad Uniyal, who was a teacher of political science in Banaras Hindu University. He was in Moscow at that time, and I would describe to him, some of the way things are in Pune and he would write back and do some corrections and suggestions on grammar and content. I recently was sent a letter-message by my sister-Sonal- which had some letters-memorabilia of my grandfather from the 1930s/1940s when he was studying in London. He used to be active in the students union, was a student of Professor Harold Laski and spent life as an overseas student during the World War 2 days. Logbooks were another way of keeping track- which I started keeping as a record of the hours studied, subjects –topics to be revised, and the distance run- when I would be studying in Army Public School-Dhaula Kuan, and were staying in Pratap Chowk-Delhi Cantonment. Diaries- were an extension of these logbooks- in which there are a bit more nuanced view of the numbers and hours studied. Pliny the Elder said-not a day without a line. These evolved into Journals- which are a bit different from diaries/logbooks/letters in that one looks at one particular theme-topic and tries to see the lessons learnt, mistakes made , how to build to next level, what to do, and not to do. How to reduce the clutter, improve the focus. WHAT WE ARE AS A GROUP OR PEOPLE..
Work, family , friends, carried me to different places, and there I met persons from different lands, who expanded my way of thinking, and helped commune with travelers who have gone through these paths before. What is the use of writing these down ? I retrieved some notes from just a month ago, and read and went over them once again, in a shared manner. Shared thinking is the ability to include the heads of others, to help thinking ‘over your head’ and achieve compounding results. 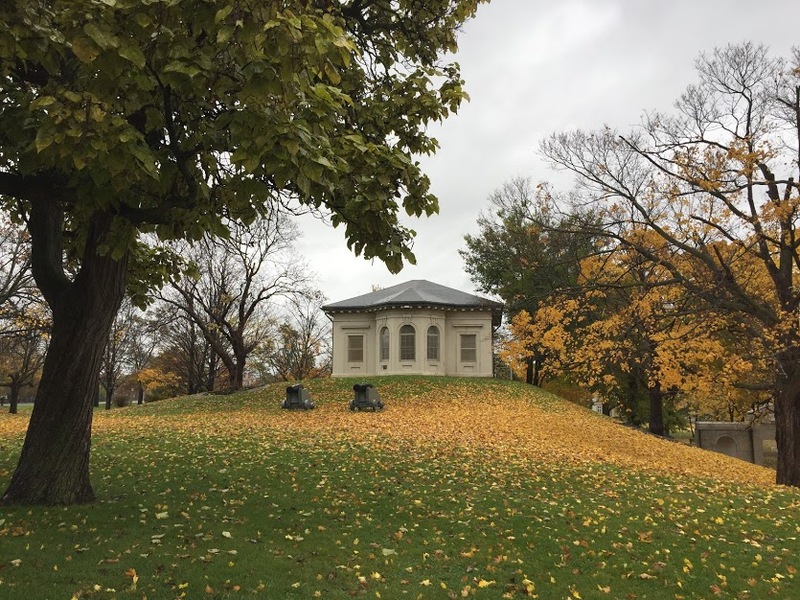 As I had written down what had been said, by whom, it helped reflect- in this case –jointly- a way to revisit the past and gain further perspective and thinking with understanding. Consciously building with expatriates- who live-work in faraway lands made me evolve the meanings of diaspora in a deeper way..From the Food cultures of different civilizations in the churches of Tripoli to the Reading journals-clubs which made us revisit events like the Cultural Revolution of China or the Fall of Communism or the Arab spring-through the lens of great works of literature. Last week, I went for two walks to further think through and think ahead. Thinking Places are spots where one goes to think …and revisit the talks, plays, themes, schema one more time to see whether one can get a further understanding or insight from an experience. Have been coming to Riverwood –over the years, this season watched some birds and the flow of water with music.